The Black Diamond And The Witch's Curse by Terrence Alexander is a gripping tale with a strong appeal for fans of the paranormal. Derek James might be a football scholar and an ordinary freshman to some people, even to everyone in his school, but he has a great secret — he is a warlock. He learns that the other freshmen -- Matthias, Omar, and Tre'Vell -- are also warlocks when he meets them. Soon after this discovery, strange things start happening as they are attacked by powerful and fierce monsters. They have to work together to find out where the monsters are coming from, and time is running out with the growing threats on their lives. Follow them on a dangerous journey in search of the truth. This is a real treat for fans of urban fantasy and the supernatural. Terrence Alexander is a great storyteller and I enjoyed that the author creates extraordinary characters and still gives them the feel of ordinary characters. The charm is there and the pull is so strong that it is hard to put the story down — even for a bit. I started loving it the moment Derek makes new friends. From that moment on, the author creates intriguing questions in the minds of readers and compels them to follow the story for answers. The prose is beautiful, moving with uncommon fluidity. The phraseology is a testimony of the author’s economy of word and the ability to keep the writing tight and gripping. 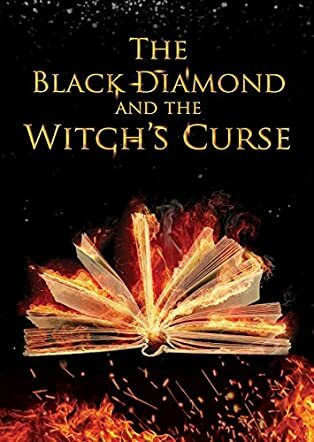 The Black Diamond And The Witch's Curse is an engaging story with characters that stay in the minds of readers and a plot that hypnotizes.